JFB in NYT: We Want Cake, Too. Jennifer Boylan > JFB.com Blog > JFB in NYT: We Want Cake, Too. A few years ago, I did an article on a ventriloquists’ convention in Fort Mitchell, Ky., home to 8,000 souls and the Vent Haven Museum, where dummies go to die. As a transgender woman, I felt strangely at home at this convocation of adorable misfits. Not only were there guys walking around with puppets, there was a Puppet Ministry run by a preacher who sold his own line of dummies (Satan was the most expensive). I thought of this line after New York passed its marriage-equality law in June. Since then, gay men and lesbians have been lining up from Fire Island to Niagara Falls in order to tie the knot. As this wave of progress ripples through the country, though, one group of people has been prominently left behind. In conversations with transgender people, again and again, I hear the refrain: Enjoy your cake, folks. Meanwhile, the rest of us remain at risk for discrimination and violence. When you look at the staggering statistics concerning the struggles of transgender people, it’s easy to understand resentment over the amount of resources put into the fight for marriage rights. Transgender people, according to a nationwide study released early this year by the National Gay and Lesbian Task Force and the National Center for Transgender Equality, are nearly four times more likely to live in poverty than the general population. Forty-one percent of respondents reported attempting suicide; of those who came out as students, 78 percent reported harassment, 35 percent physical assault and 12 percent sexual violence. Nineteen percent said they had been homeless. Among transgender people of color, the numbers are even worse. The right to marry clearly isn’t the most urgent civil rights issue lesbian, gay, bisexual and transgender (L.G.B.T.) people face. Still, it’s not surprising that marriage rights came first. The lives of gay men and lesbians have finally become part of the fabric of American life. It seems to be harder for people to get their minds around the transgender experience. It takes a much larger leap of imagination for straight people to understand the difference between who you want to go to bed “with,” and who you want to go to bed “as.” Frequently, gay and lesbian people struggle with this distinction just as much as straight people do. But if transgender people are sometimes at odds with their gay and lesbian allies, they’re also at odds with themselves. 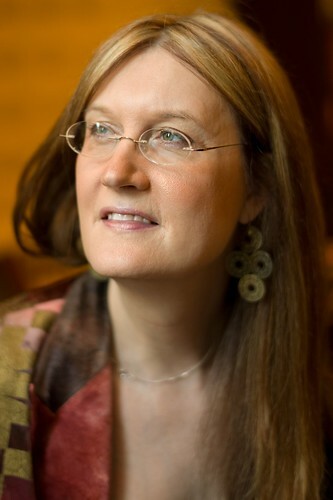 The community is rife with disagreements about whether transsexuals (individuals who change, or wish to change, their gender via medical intervention, and whom some define as simply having a “birth challenge” like, say, a cleft palate) even ought to be grouped, politically, with “transgenders” (an umbrella term that includes cross-dressers and drag queens). Whenever I hear about groups splintering into smaller factions, it’s hard for me not to think of John Cleese in Monty Python’s “Life of Brian,” protesting that he’s not with the Judean People’s Front; he’s with the People’s Front of Judea. In short, infighting seems to guarantee that whatever progress is made for gay men and lesbians, transgender people will continue to lag behind. We can’t afford that. It is painful that the pressing issues of trans-rights seem forgotten beneath the din of wedding bells, but progress in civil rights can only come with the numbers and resources found in unity. Gay men and lesbians, for their part, ought to remember, on the way home from Niagara Falls, that it was drag queens and transsexuals at Stonewall who began this fight. Jennifer Finney Boylan, the author, most recently, of “Falcon Quinn and the Crimson Vapor,” serves on the board of the Gay and Lesbian Alliance Against Defamation and is a guest columnist. Great piece on the history and the truth of what is going on with LGBT and within/under the TS/TG umbrella. It is a great sign that the NY Times is having you write these pieces under the guise of a regular “substitute” columnist and not as a first-person anomaly never to be read again. A sign of respect and seriousness towards you, your great talent and our community. Thank you for taking this on and for all the other wonderful things you do for our community. Yes, I am one of your Peeps. And one who takes inspiration from you and your wife every day from what I know about you both from your memoir and other writings. (I hope that doesn’t make you uncomfortable, but it is true for me and I believe – thousands of others who married first, then…). I do want to say though, that while you certainly have the right to criticize any and all from the right and put all of us in a box (as you often do) – you are wrong in doing this. While you may disagree with many people politically, it is prejudicial to assume (very similarly to another writer, who is a GG, btw) – that they all think alike and are all against who you are and your very existence. This comes through a lot in your writing when you pull in politics towards the main topic of your work. You are the Professor and I am just a reader, but it seems to me that it would be more beneficial to “all the T-Peeps” if we didn’t assume that everyone with an “R” on their voter registration was a crazy, ill-informed, uneducated, overtly-religious person who may seriously consider wanting to burn us at the stake if they could get away with it. Besides the fact that many in our community are “R’s” themselves (or are Conservative) – we are then approaching the people we need to win over in order to advance legally, politically and so on – as “THE ENEMY.” That is not the way to win the war. The gays and lesbians didn’t win just with all their assumed friends (the Democrats) – just look at Barney Frank, Nancy Pelosi and President Obama. The G&Ls got thrown under the bus in the first months after the Inauguration even though the Dems controlled the House, the Senate and the White House. In New Jersey and other states, Democrats did the same thing when Marriage came up for a vote. It took Republicans to do that in NY, NJ (and it still failed anyway), CA (the lone judge who was a Reagan-appointee) and in other states to make Marriage happen. Please consider this before just lumping millions of people into an ugly pot. It isn’t productive or politically-smart to do that (if we are to help all the T-Peeps) and it is prejudicial at its core. We are against prejudice against us, so why not be against prejudice in its other forms? Thanks, Keep Writing and You Rock, Sister! p.s. my comment is only for your website/blog not for anyone else. Especially, Left-wing people who say they love T folks , but still go and hate other people. (Yes, they are out there). In 2003 the government of the Australian Capital Territory (Australia’s equivalent to America’s District of Columbia – an enclave among the states to house the nation’s capital city) embarked on a process of GLBTI law reform. A group called “Good Process” was created and consisted of people from all parts of the GLBTI community. We worked well together and put together a submission to our government calling for law reform in all areas. It was a very positive experience. However, when the govenment decided on its response to the submissions, gay law reform happened but trans and intersex law reform was put in the “too hard basket”. Earlier this year, the ACT government asked the ACT Law Reform Advisory Council to provide advice on the matter of trans law reform. We went through submission writing processes again and attended public forums. A couple of weeks ago I was invited to attend a meeting of the Council as they considered how they would respond to the government. I have to say that I was overwhelmed by the goodwill shown by members of the council concerning trans law reform. I am optimistic that recommendations will be made to remove the requirement for gender affirmation surgery in order to be legally recognised by the state. I am also hopeful that our laws will finally acknowledge that the male/female binary does not fit every person and that other options should be available. Of course, there will still be a need for the government to act on the recommendations. After looking at my response to your post about your New York Times article, I want to apologize if I was a bit harsh in some of my wording and comments. As we have never met each other and I was communicating in electronic form, some of my humour may not have come over the way I wanted it to (particularly, the “Fonzie” analogy). If I offended you with any of it, I am sorry for that. p.s. Thanks again for everything you do for the T Community.